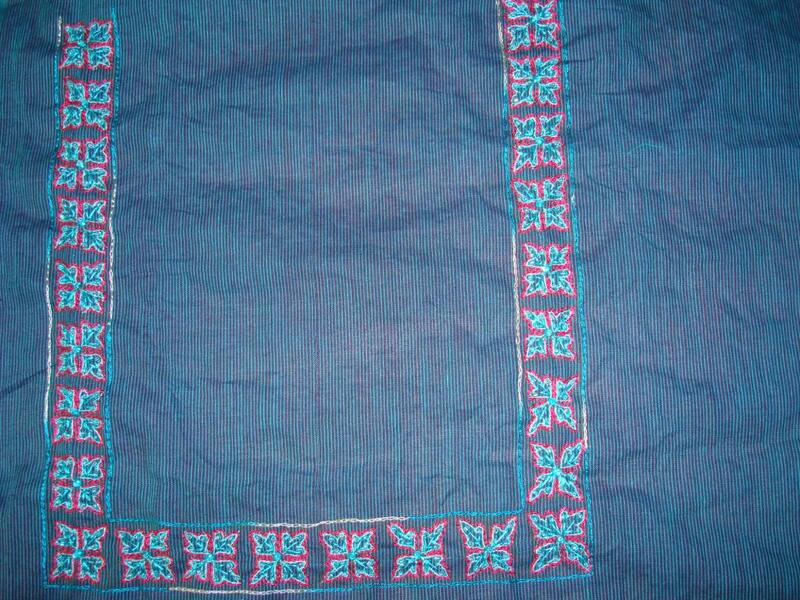 Now that the embroidery on the yoke is completed, the yoke and the tunic fabric were given to the tailor for sewing. 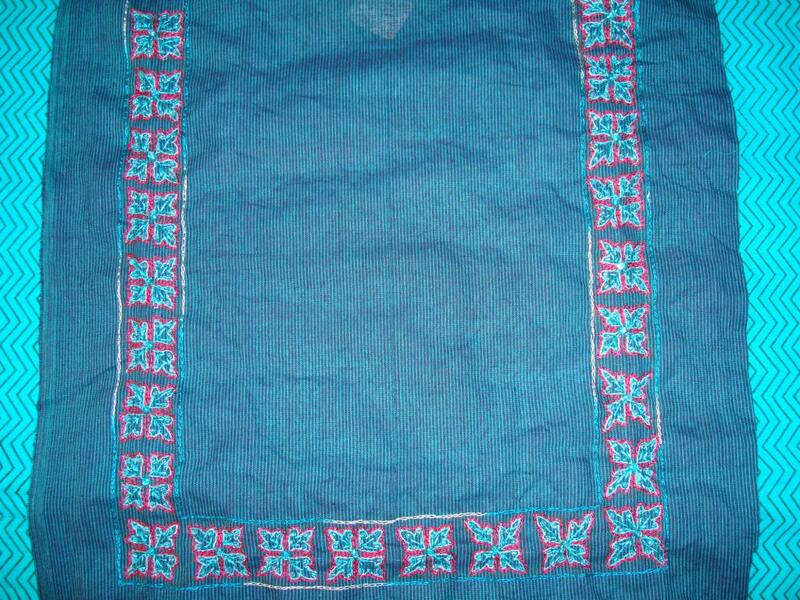 The tailor had done a fine job on this tunic. 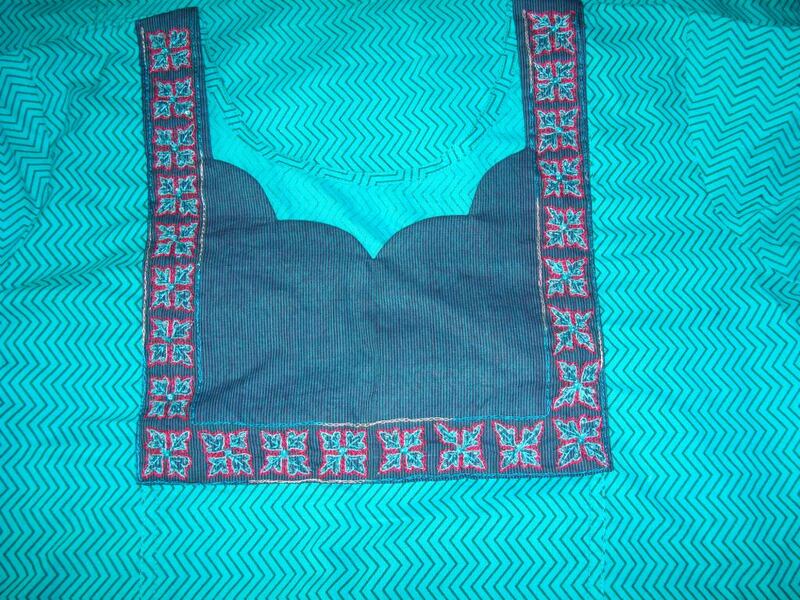 The length of the tunic ends just above my knees, it can be worn either with tights or jeans. For few dresses, the embellished colour combinations work out pretty well with that dress coordinates. 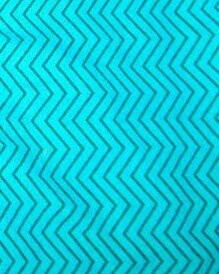 This one comes in that category. 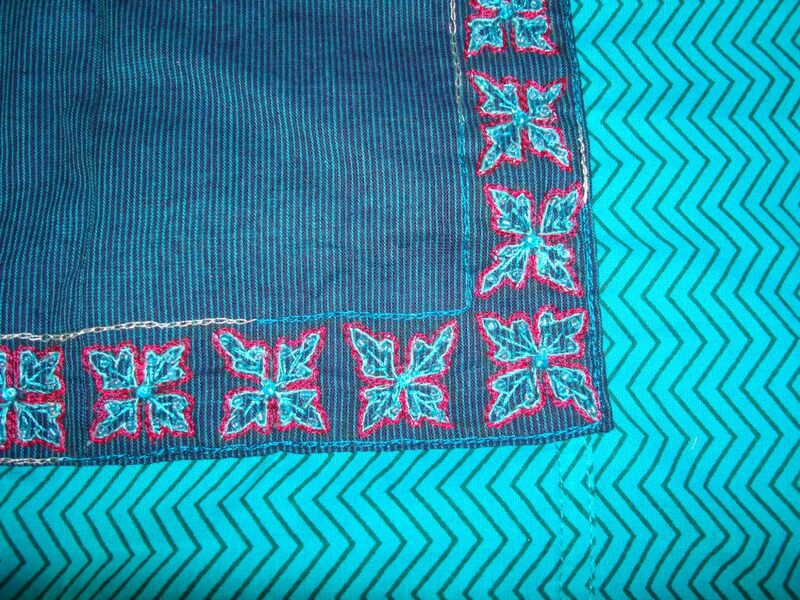 Otherwise the colours are fine , the dress doesn’t go with any thing else, or the embroidery is good, but the pattern is very uninteresting. It also happens, that everyone else praise how well the dress looks, but you feel , you haven’t done anything worthwhile on that. 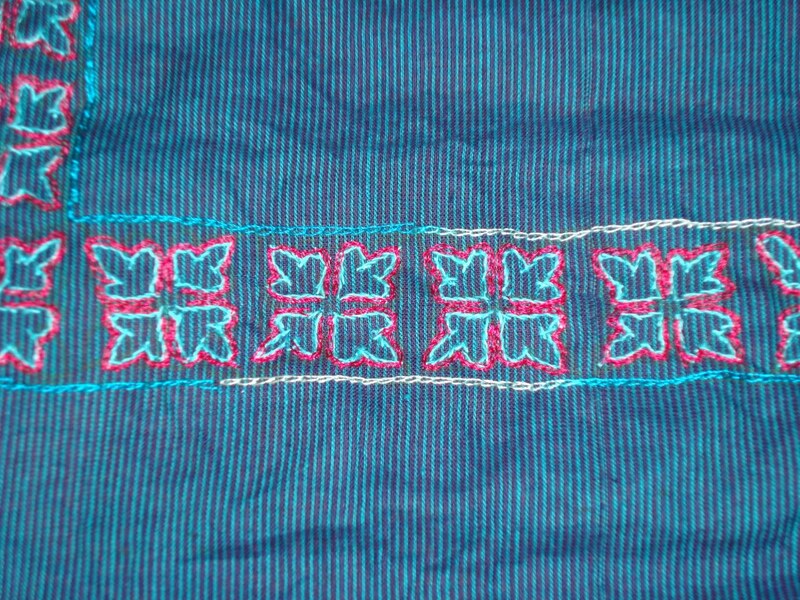 I had planned to work embroidery on the sleeves too. after seeing the time involved in working the yoke, I dropped the idea. Close up of the same. the beads and the stones are not clearly seen in the picture, but they are there! 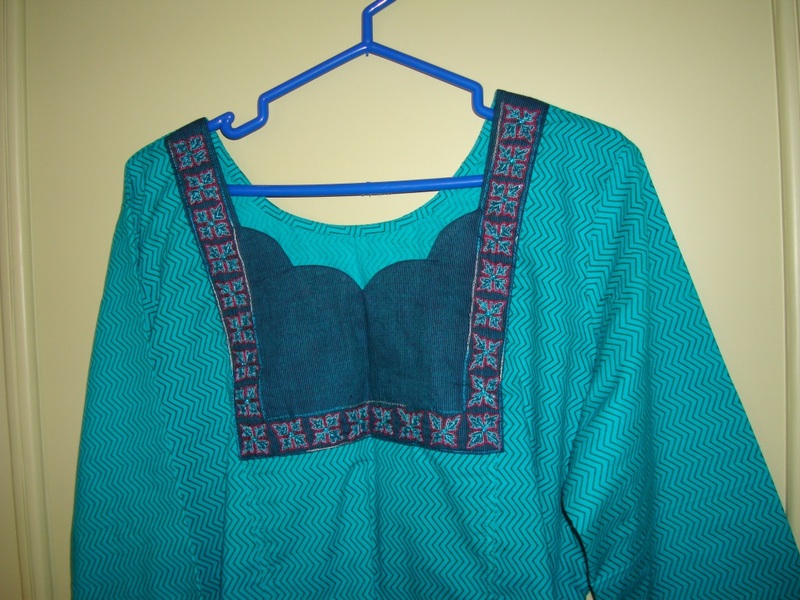 The sewn tunic with yoke and the yoke pattern on my next post. 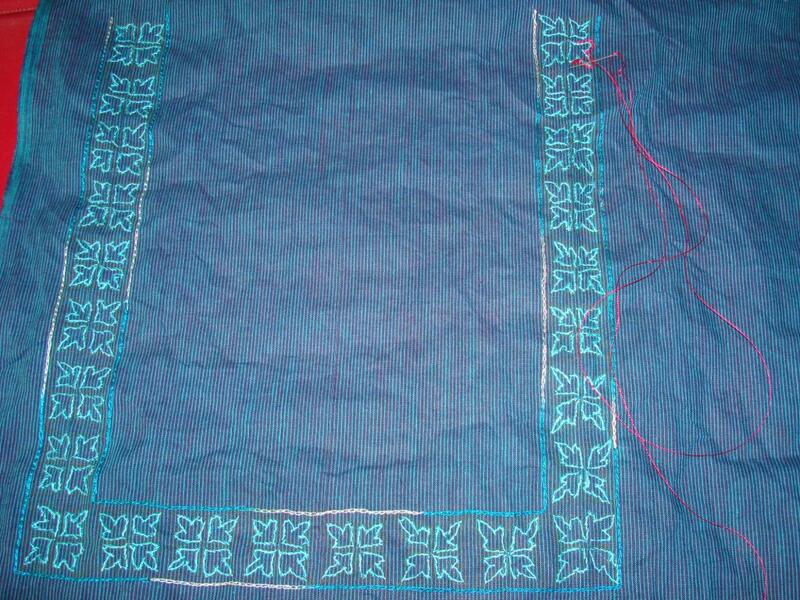 The motif border is worked in blue thread. The next colour is dark pink. 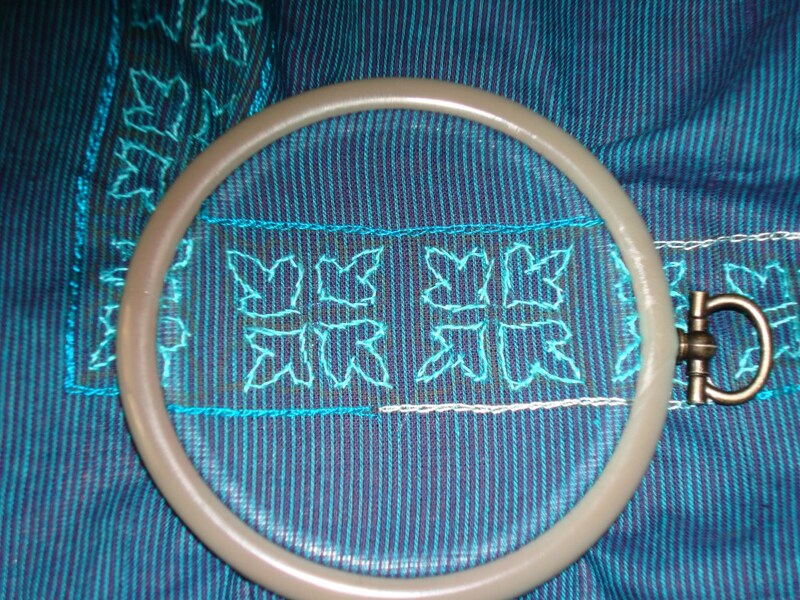 This is worked in chain stitch , outlining the blue thread. 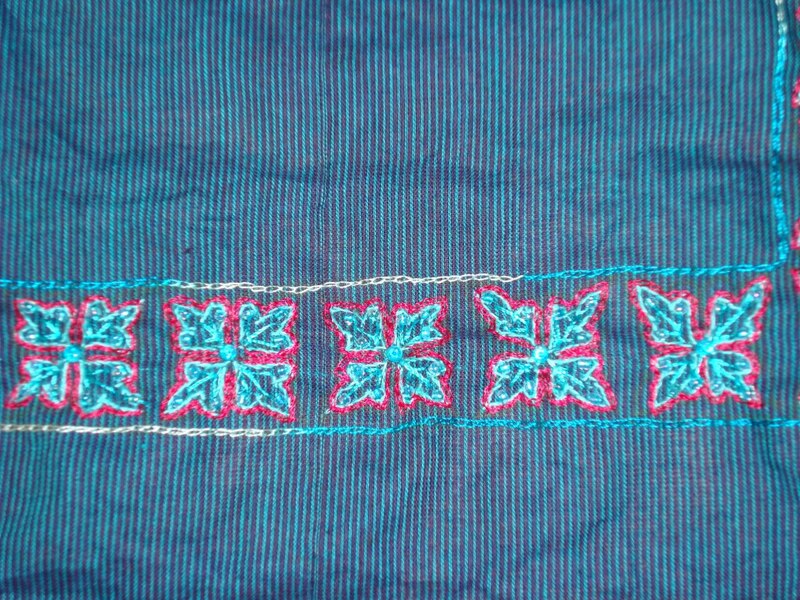 Then straight stitches were worked in blue inside the petals. 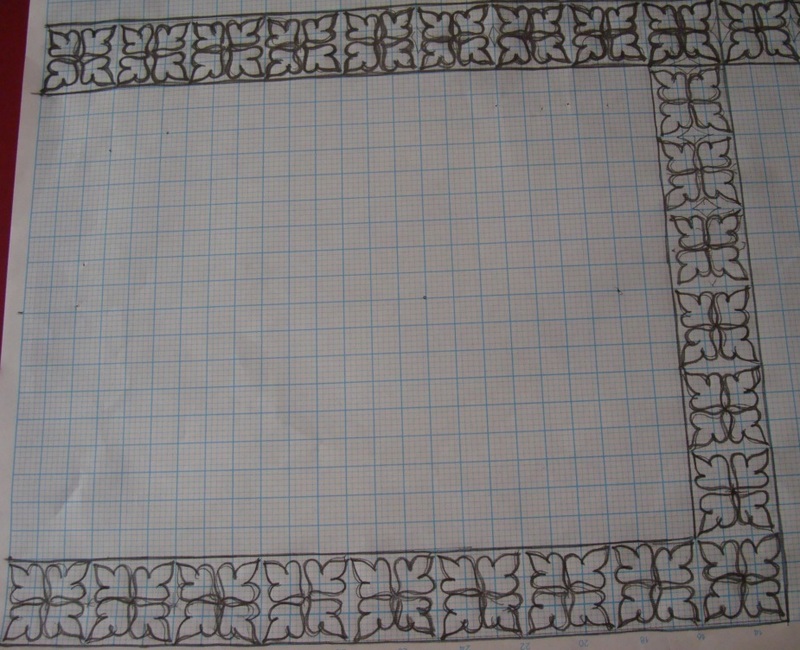 Next post with the beads.